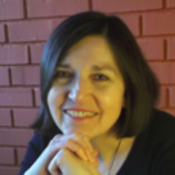 Deborah Gouge is a freelance writer and editor with over 30 years experience. Here at Seeking Alpha, she writes about the topics that interest her most—health, medical, and science issues and firms that affect the public. For seven years early in her career, Deborah worked as a speechwriter and financial writer for the Chairman of the Board and senior executives of Gulf Oil. Recently, she collaborated with Tienko Ting in writing Natural Chi Movement: Accessing the World of the Miraculous. She has edited many books, including Promise Ahead by Duane Elgin and Culture Clash and Communicate or Die by Thomas Zweifel. She has also worked as a fundraiser and a seminar leader. Deborah lives next to a 500-acre woodland in Pittsburgh, Pennsylvania.